Environmentally friendly Product - Professional at home! All the benefits of the single serve capsules brewers in a machine that uses ESE Pods and make a difference for the environment. 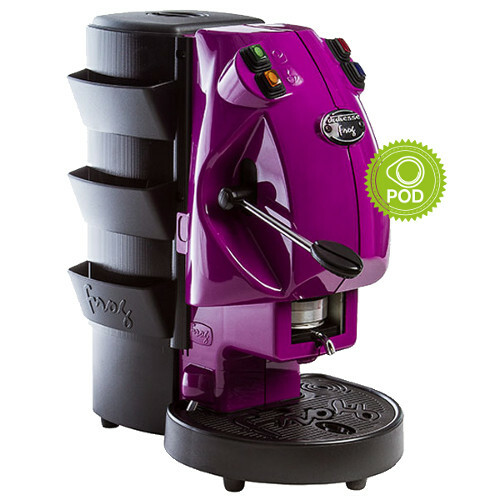 Made in Italy the Frog ESE pods Machine has an unique and innovative design suitable for both home and office. 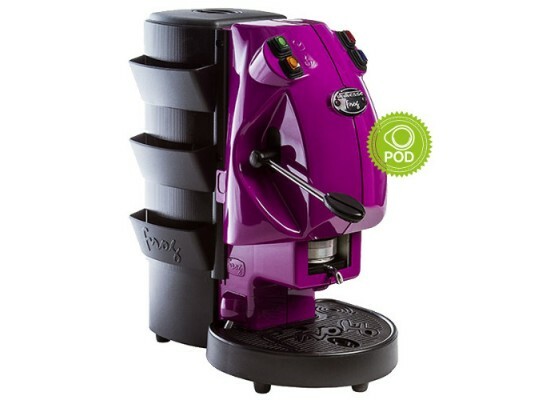 A perfect machine that is compact, easy to use and makes great espresso shots! The Frog model is easy-to-use and pleasing to the eye. 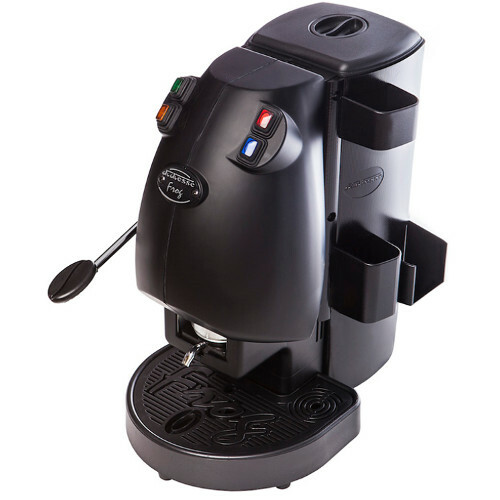 A marriage of attractiveness and usability, it is ideal for both home and office environments. Its curvy design and the quality of its single parts make it a reliable product which easily fits every kind of interior.